For how long can the crooks in a once proud liberation movement rule? (Bloomberg) – The pursuit of money among some members of South Africa’s African National Congress is becoming so intense that senior officials say it’s threatening to split the ruling party and damage its ability to govern. In power since Nelson Mandela led the ANC to power 23 years ago in the nation’s first multiracial elections, the former liberation movement is now increasingly seen as an avenue to secure state contracts and jobs, with routine reports of bribery to win positions. The issue has become so worrying that some senior officials are breaking the party’s tradition of closing ranks to deal with internal problems by speaking out. The manipulation of government appointments has undermined the state’s ability to deliver education, housing and other services. 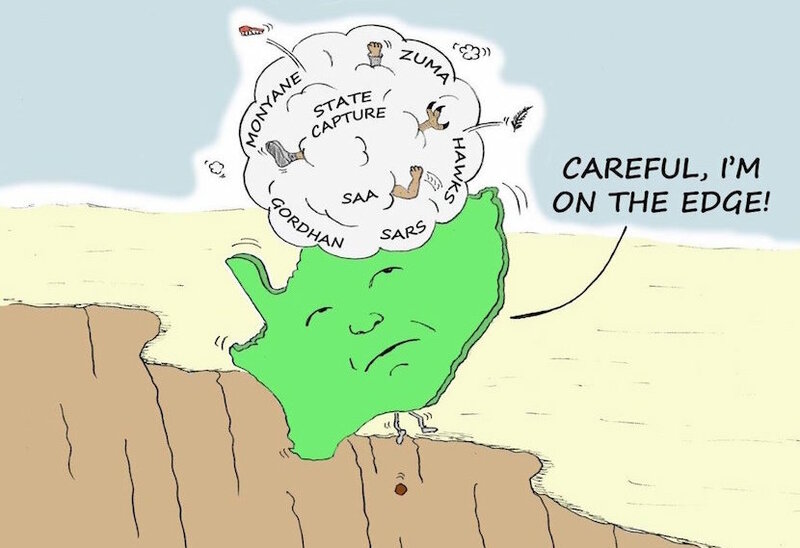 As much as 40 percent of the R600 billion ($45 billion) budget for goods and services is consumed by inflated prices from suppliers and fraud, the National Treasury’s procurement office estimated last year. The intensifying debate comes as the ANC is scheduled to choose a new leader to succeed President Jacob Zuma in December and continues its soul-searching of how it suffered its worst-ever electoral performance in an August municipal vote, when it lost control of Pretoria and the economic hub of Johannesburg to opposition party coalitions. Critics argue that Zuma, who took office in May 2009 just weeks after prosecutors dropped graft charges against him, hasn’t led by example. In a 2014 report, the graft ombudsman found that the president unfairly benefited from a taxpayer-funded R215.9 million upgrade of his private home, and last year the nation’s top court ruled that he violated his oath of office by refusing to repay some of the money. In a separate finding last year, the ombudsman implied that Zuma allowed a wealthy family in business with his son to influence cabinet appointments and the awarding of state contracts. 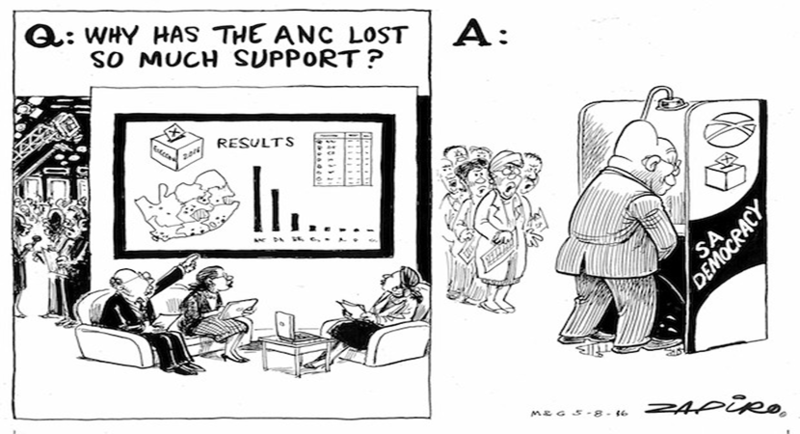 Scandals implicating Zuma contributed to the ANC’s poor showing in the municipal elections in August last year. The president, who’s due to step down as ANC leader in December and as the nation’s leader in 2019, denies intentionally breaking the law. Even so, the problem of corruption and the faction-fighting it breeds in the ANC has escalated during Zuma’s tenure as leader. The party has received reports of people buying membership cards in bulk, guaranteeing them control of a branch, and of some bodies claiming members that don’t exist, according to ANC spokesman Zizi Kodwa. Ramaphosa, one of the front-runners to succeed Zuma, called on the ANC to adopt measures to deal with conflicts of interest, alleged criminal conduct and ethical breaches. State procurement processes also need to be insulated from political interference, he said. Rooting out corruption and restoring the ANC’s tarnished reputation won’t be easy, according to Maserumule.